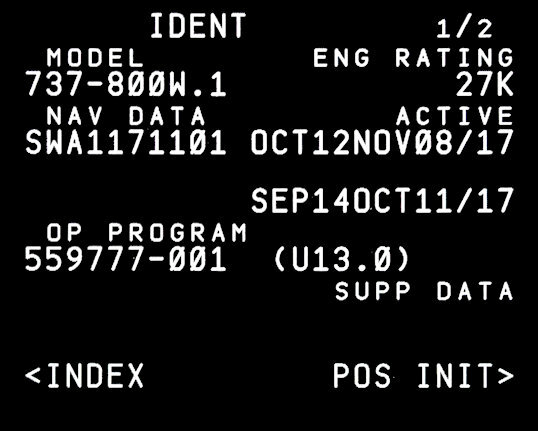 FMC Update 13 was designed for the MAX and has been used as 13.0 on the test fleet. 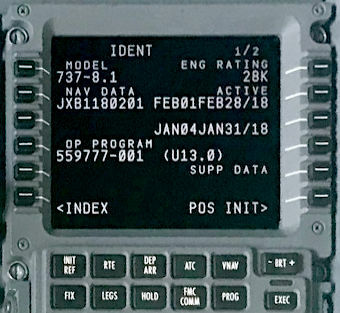 U13 software brings the baseline of U11 and U12 to the 737MAX and does not include any new functionality for the 737NG. Boeing plans to retrofit U13 onto the 737NG in 2018. U14 has been announced before the introduction of U13. The 737-8 airframe allows selection of Percentage Takeoff Derates on the N1 LIMITS page based on existing function of Fixed Derates. 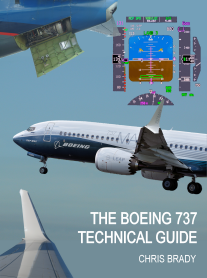 New Engine Performance Model (EPM) and Thrust Rating Model (TRM) is required for 737-8. The 737-8 includes large format display to the 737 flight deck.